The Hermetic Society of the Golden Dawn is a private Order with Temples on all five continents. 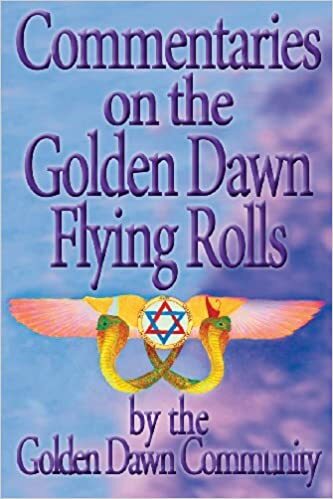 It was founded in 1999 by high ranking Freemasons and SRIA members who practice the Golden Dawn structure, techniques and ceremonies as they were originally done in 1888. The HSGD is an esoteric and fringe-masonic society open to individuals of all creeds, races and genders. The HSGD continues the initiatic lineage from the original Order of the Golden Dawn. Our work is that of the original order of 1888, and not the later Stella Matutina ceremonies. The HSGD is also home to authors Frater YShY, Christine Zalewski, Darcy Kuntz and Jamie Paul Lamb. There are links to purchase their books below. Those who are interested in more information about the order should contact us through their local jurisdiction below. 43 rue Ribera, Paris, 2:30 in the afternoon. The V.H. Soror “Vestigiu Nulla Retrorsum” [Moina Mathers] 5=6, Praemonstratrix, announced that the Supreme Chief of the Order, the Greatly Honored Frater “S’Rioghail Mo Dhream” [MacGregor Mathers] 5=6, Imperator, “Deo Duce Comite Ferro” 7=4, had departed from his terrestial body during the night of Tuesday, November 19 to Wednesday, November 20 to the minute [midnight], but that spiritually, he shall be with us always. In his last moments he instructed that the V.H. Soror, “Vestigia Nulla Retrorsum” 5=6 Praemonstratrix, “ln Rosae Rubeae et in Aureae Crucis, Victoria Mea” 7=4; in conjunction with the V.H. Frater “Sub Spe” [John Brodie-Innes] 5=6, “Fidei Tenax” 7=4; and the V.I I. Frater “Resurgam” [Edmund Berridge] 5=6, “In Spiritu Sancto” 7=4, to see that nothing might interupt the Work of thc Order, and to see thal the Tradition would always be observed. 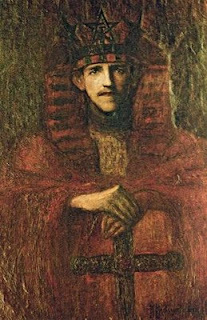 He named us his Successor and as Supreme Chief of the Order, representing the Secret Chiefs, the V.H. Frater “Sub Spe,” “Fidei Tenax” 7=4. The G.H. Soror “Vestigia Nulla Retrorsum” [Moina M.] read a message from the late Chief; Frater “S.R.M.D.” [MacGregor M.], the last which he addressed to members of the the Order before leaving the physical plane – “all of his last thoughts while undergoing the transition of leaving his body were for our Order,” Moina Mathers noted. “He wished that you all might continue your Work within this Order, just as it he were yet present among us in his physical body. He had reason to believe that he would be able to guide and to protect you, from the Spiritual Plane where he now is. He asks that you should keep intact the official Instruction of the Order, knowing that he received it in a direct line from the most pure Rosicrucian source, even though these Mysteries are found somewhat modified in their exterior form, for reasons of Tribe and Culture. “For you who aspire to become Adepts, he insists above all on the importance of the spirit of Brotherhood, which is essential in a mystical association, because the least discord could permit the Evil Forces to gain a foothold among us. And by “Brotherhood” he understands not only submission to the letter, but also to the spirit of our Obligation; because among the most important points about which we must be aware there are those things which could afford entrance to the adverse forces – in particular, we refer to intolerance and sterile discussions between members. We should assemble in our Temple, for our Work, on a Ground of complete neutrality and perfect harmony, even if in private life, our relations with certain Fratres or Sorores might not be as entirely harmonious or as mutually amicable as should be desired. The goal of all our efforts is to arrive at a strong and harmonious synthesis. And to this aim we shall most rapidly and completely attain by melding all our individual virtues and abilities, so that we function together as a single homogeneous unit. “Thus so, our G.H. Chief asks above all else that you cultivate tolerance, and that sympathy which flows naturally, sympathy for your immediate circle, and sympathy for all of Nature – because with what does the Adept work, it it is not with Nature and her Forces? He must enter into contact with the Forces, serving and assisting them. And the forces certainly won’t obey a stranger to them, when they submit but uneasily even to one who knows them well. Permission obtained to post this letter, Darcy Kuntz. Holmes Publications. Erected at Thuban Temple, #1 on the Registry of British Columbia, Canada. 1. Use of and adherence to the Cipher Manuscript as a source derivation for the established ritual material. 2. Complete memorisation of the Outer Order Knowledge Lectures at each grade by the membership. 3. The Outer Order consisting of five grades, that are elemental in nature, namely Neophyte, Zelator, Theoricus, Practicus and Philosophus. 4. The Inner Order consisting of three grades, which are frequently though not necessarily attributed to the three alchemical principles, namely Portal and Adeptus Minor, Adeptus Major, and Adeptus Exemptus. 5. The Third Order Grades and the Secret Chiefs of the Order being referenced in the Order, however these Grades and Personages are considered. The third Order Grades are namely: Babe of the Abyss, Magister Templi, Magus, and Ipsissimus. 6. Equality in admission and advancement of all worthy and qualified Fratres and Sorores regardless of race, gender or creed. 7. The adherence to and the respect of the traditional oaths of secrecy, however these may be interpreted and practised. In harmony, friendship and love; to the accomplishment of the great work.